Your agreement is with your ‘Fit and Healthy Mums’ Class Leader or Personal Trainer, all known in this document as the ‘Trainer’ i.e. the person who delivers your class, training or session in all areas and services that Fit and Healthy Mums operate. These Terms and Conditions form part of your agreement with your Trainer and you understand that the Trainer is self-employed and you are entering into a contract with her alone. Your instructions to commence any type of class, any form of physical training including classes and personal client training or any other Services that Fit and Healthy Mums supply; will constitute acceptance of these Terms and Conditions when you will become a client (a “Client” or “you”).You are asked to pay special attention to the provisions related to cancellations. This does not affect your statutory rights. The Trainer will use her skills and knowledge to design a safe programme of activity relevant to her skills set, that will take into account your lifestyle, personal goals, fitness levels and medical history including medication and mental health. The Trainer will provide the coaching, supervision, advice and support that you will need to achieve your goals. Both on a one to one basis and within a class or group situation. You are required to wear appropriate clothing and footwear for your activity. You are required to bring water and other items relevant to your class e.g. inhaler, medication or any agreed documentation eg physio exercsies. You are fully responsible for the supervision and care of your child(ren) that are present within your Session. You are required to complete a Pre-Screening Form before undertaking your initial session. This will be specific to the Trainer and relevant to your chosen activity. Therefore it may be necessary to either request duplicate information by different Trainers and/or the sharing of your information amongst Trainers to ensure the best service is provided. On occasion Your Trainer may require a letter of ‘medical clearance’ from your GP. Please be aware that your GP may charge for providing this letter. You understand and agree that it is your responsibility to inform the Trainer of any conditions or changes to your health, now and ongoing, which might affect your ability to exercise safely and with minimal risk of injury. Or to inform any Class Leader of anything that may impact on your performance in your given activity. You understand that there may be some risks in participating in a programme of exercise or other services. If you sustain or claim to sustain any injury while participating in any class or private appointment, you acknowledge that the Trainer is not responsible, except where the injury was caused by her gross negligence or intentional act. 24 hours notice of cancellation or postponement is required for all appointments. Notice of less than 24 hours will incur full payment of the full Session fee, including Sessions as part of a block. Where appropriate we will always aim to rebook appointments and be as flexible as possible. Where classes are paid for in advance and you have secured a place, any cancellations or postponements will not be refunded. You will be offered an alternative class, if appropriate. Once purchased, your Sessions are non-refundable and non transferable. This includes up front payment for blocks of Sessions and block booking cards. Please note, block booking cards are non transferable and can only be used by you, the purchaser. Your Trainer completes a risk assessment prior to each class/group session. If your Trainer conducts the Sessions on your premises you are responsible for providing a safe environment. 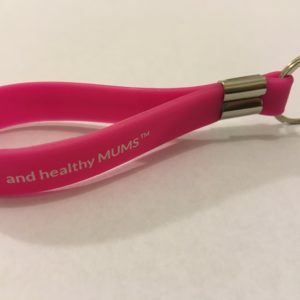 You are responsible for keeping all your contact information and marketing preferences up to date with Fit and Healthy Mums. In order to comply with the Data Protection Act 1998 and the GDPR 2018, the Trainer will only do what you ask her to do, or what you have given her permission to do with any personal or sensitive information held about you. 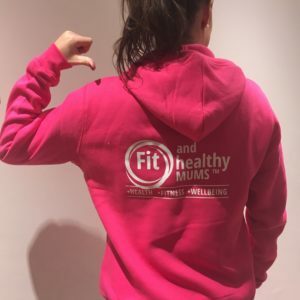 Fit and Healthy Mums Ltd are committed to complying with the General Data Protection Regulation and the Data Protection Act 2018. Looking after the personal information you share with us is very important, and we want you to be confident that your personal data is kept safely and securely and to understand how we use it. We have published this notice to help you understand how and why we collect information from you and how we keep it safe. If we make changes to this notice we will notify you by updating the website. 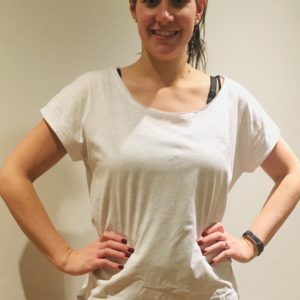 Fit and Health Mums will be what is known as the ‘Data Controller’ of the personal data you provide to us, and we will sometimes refer to ourselves in this notice as “we” or “us”. By Data Controller, this means Fit and Healthy Mums determines the purposes and way in which any personal data are, or will be, processed. When you begin using our services, you are entering into a contract with us it is important that we fully understand all of your circumstances, some of which may be personal or sensitive information. We may need to ask questions and obtain data either written or verbal about your physical and mental health and wellbeing, medication or illness. We may also obtain personal data such as your name, address, data of birth, contact details and information about your child/ren. This helps us to make sure we can keep you safe in our classes and appointments, work with you to deliver the services you need and be well informed about you as an individual. We treat every client as an individual and therefore require information to carry out our work to the best of our ability. This is inline with our duty or care to you. • Contract - your personal information is processed in order to fulfil a contractual arrangement e.g. you may have a medical condition that impacts on the services we can deliver to you, safely. • Consent – where you agree to us using your information in this way e.g. storing of your screening forms. • Legitimate Interests - this means the interests of Fit and Healthy Mums in managing our business to allow us to provide you with the best products and service in the most secure and appropriate way e.g. obtaining your email address to keep you up to date with timetables, location and class changes. • Legal Obligation – where there is statutory or other legal requirement to share the information e.g. if we feel we need to share your details with a medical professional or require specialist assistance, to keep you safe. We do not hold, store or have access to any financial information based on our online booking process. Please be aware that it is our policy to never sell on or pass your data to any third party. We would only ever share your data with a medical professional or otherwise inline with our safeguarding policy where we deem it to be appropriate and within the clients best interests, with safety and welfare at the heart of any sharing. - Making and online payment, we store your email address in order to contact you in case of cancellations, changes of location or unforeseen circumstances. - We keep a record of when you make an online payment, or any other payment for accountancy and HMRC requirements. - Marketing Communications, Service Enhancements and Special Offers to keep you up to date with our current offering and ensure you are fully aware of the services we can offer to you. - Market Research, we may contact you so that you can help us to deliver better services and products in the future. We may also ask your opinion on how we are doing, as we want to get it right! We want to keep you up to date with information about new services, special offers and improvements to our offering. When you join us, we will ask you if you would like to receive this information via your screening forms. If you decide you do not want to receive any information you can request that we stop by emailing keri@fitandhealthymums.com. You may continue to receive mailings for a short period while your request is dealt with. We may need your personal information for insurance and record keeping purposes. For this purpose, we will always retain your personal information for 7 years after the date it is no longer needed by us for any of the purposes listed under How we use your information above. This is inline with our other legal obligations, eg class registers. - Right of access –to request access to your personal information and information about how we process it.